Get timeless classic appeal with this undermount lavatory basin. An integrated overflow with a decorative overflow ring provides both practicality and style. The clean white finish makes this basin suitable for any bathroom, in any style of home decor. It features a rectangle shape. This undermount sink set is designed to be installed as a undermount undermount sink set. It is constructed with ceramic. This undermount sink set comes with a enamel glaze finish in White color. This transitional undermount sink set product is CUPC certified. A long standing favorite of interior designers and architects, the Amabella features a strong undermount pyramid shape adding a touch of tenacity to the similar Callensia. The Saidi is a rectangular undermount solid surface trough bathroom sink that adds flair as a dramatic centerpiece. The hard lines slant inward framing the basin and combine a unique identity with a quality design. Available in 24", 34", 48" width. 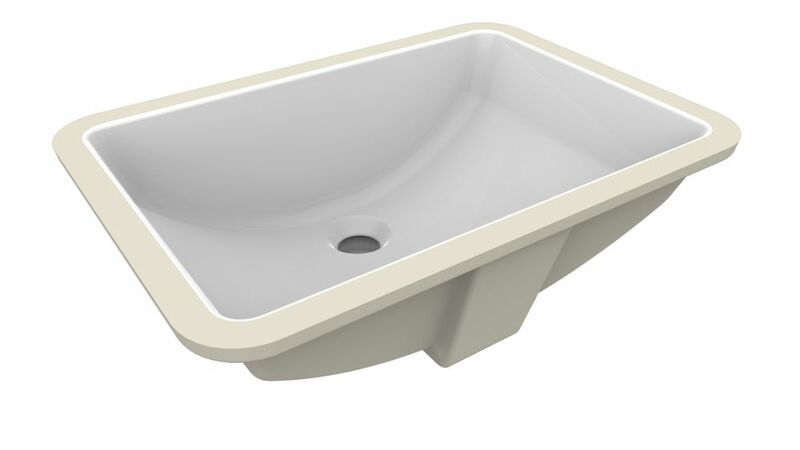 Fusion Under-Mount Ceramic Basin Sink in White Get timeless classic appeal with this undermount lavatory basin. An integrated overflow with a decorative overflow ring provides both practicality and style. The clean white finish makes this basin suitable for any bathroom, in any style of home decor.